If you file a Chapter 7 you will normally go to court for just a short 5 minute hearing called the 341 hearing. If your petition is clear, accurate and supported by documentation the hearing should be very short and only last 5 minutes or less. A Chapter 7 trustee will conduct the hearing to make sure your petition is accurate. You must bring your social security card and a government photo id such as a driver license or passport to the hearing. If you don’t appear with these identifications the hearing will be continued or the case will be dismissed. If the supporting documents required by the Chapter 7 trustee are not received within 14 days of the hearing the case may be dismissed. Did you review and prepare the petition with your attorney? Do you need to make any changes to your assets, income, debts or expenses? Did you transfer or give away any money or property within the last year? Do you understand what a reaffirmation and redemption is? When did you know you were bankrupt? Do you operate any businesses? The Chapter 7 trustee is paid a small amount to review your petition. He has to do his job and prove he properly reviewed your petition for accuracy. 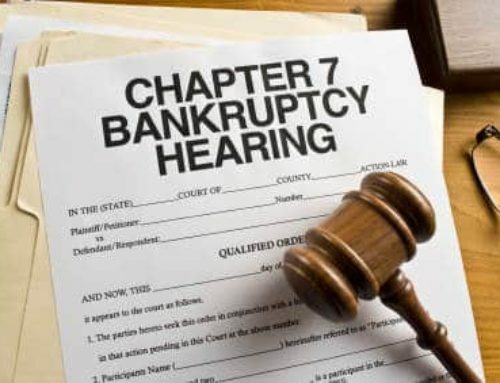 The Chapter 7 trustee can’t do that unless the petition is accurate and supported by documentation of your income, assets, expenses and debts. If you make his job difficult he will simply not approve your petition until you satisfy him. This puts you through time and additional expense. The Chapter 7 trustee also makes a minor commission on a sliding scale for selling any property that is not exempt. You should explain and disclose all of your property to your attorney so he can exempt it and you can keep it. Any property that is not listed can be seized. The exemptions in Kentucky are large so you can normally keep all your property.